We are pleased to share our annual report with you. When Kona Shen launched GOALS Haiti in 2010, she created a set of core values that continue to guide our work to this day. One of those—EMPOWERMENT & EQUALITY—remains a crucial and vital component. 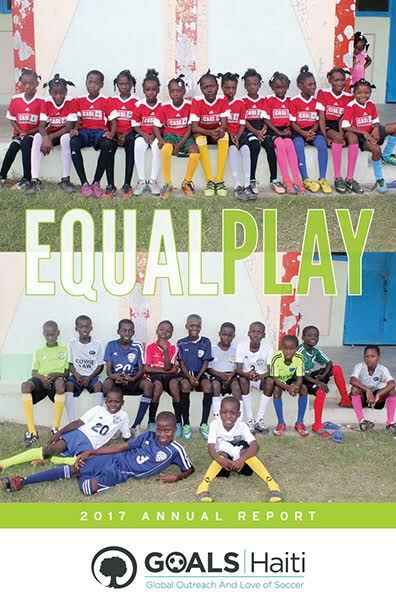 GOALS Haiti promotes equity and gender equality through education, sports curriculum and our community-led initiatives that empower citizens to drive forward local development. Our vision is a simple one: a future in which every child in rural Haiti can realize their potential and follow their dreams. This is what drives our work—the need to provide equal opportunities for children who might otherwise be left behind. Try searching past blog entries. Help kids in Haiti play, learn and grow with GOALS! Sign up for our newsletter to stay up to date with GOALS.